Anyone besides me been exalting some worthless things? We exalt people, beauty, wealth, fame, etc. We find our worth in how big our home is, how cute our children are or how many big names we can drop on social media. We have been busy lifting up some things that thieves can break in and steal and moth and rust can destroy. 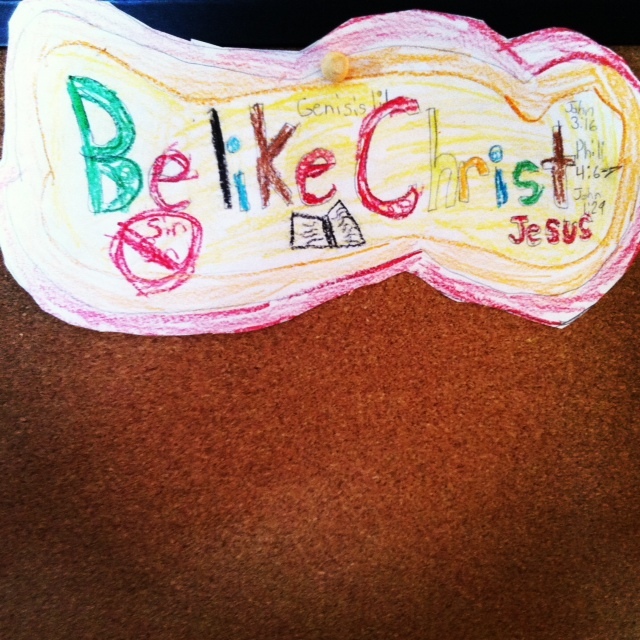 The picture in this post was drawn by one of daughters and she asked that it be put on the bulletin board above her school desk. It serves as a reminder to me that only Christ is worthy of exaltation and honor. What do you have your gaze focused on, today? If it isn’t Christ, it is worthless. recently read that same verse and it’s been challenging me ever since. thanks for sharing!